Do you need a new roof at the moment? If yes, you may consider going with a flat roof over a sloped one. 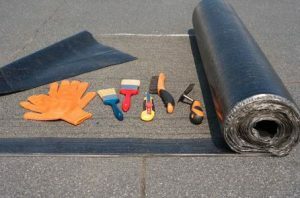 You’ll enjoy a slew of benefits that come along with flat roof installation. Here are some of the reasons why a flat roof will prove to be the right choice for you. Flat roofs are easier to access than sloped ones. If you’ve ever climbed up on a sloped roof, then you know how difficult it can be to get on one. They can be quite slippery and could result in an injury if you’re not careful. Flat roofs, on the other hand, are easy to get on and easy to walk on once you’re on them. This will allow you to access your roof whenever you want without a problem. They’re also easier to maintain. Since flat roofs are easy to access, they’re also easy to maintain. You can remove debris from a flat roof, inspect the different areas of a flat roof, and even complete flat roof repairs easily. You’re going to need to maintain your roof, so why not make it simple on yourself if you can? They’ll typically last longer than sloped roofs. The lifespan of your roof will ultimately depend on how you care for it. However, in general, flat roofs have been shown to last for between 30 and 40 years when you use the right materials on them. That means a flat roof will probably last significantly longer than a sloped one would. They tend to require less materials and labor, which makes them more affordable. Is cost a concern for you? If you want to keep costs low during roof installation, a flat roof is likely your best option. It won’t use up as many materials as a sloped roof would, and it’ll also be easier for roofers to install. Additionally, many flat roofs are more energy efficient than sloped ones, which will allow you to save money on your energy bills every month. If you’re interested in installing a flat roof or any other kind of roof on your home, Roofing By Bruce can handle installation for you. Call us at 570-424-8891 today to learn about the other benefits of flat roofs.